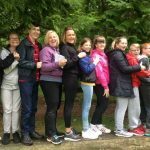 We organised their first ever family break to Lego Land Discovery and Wiston Lodge, we also held 2 sensory sessions for children with significant sensory needs both in North and South Lanarkshire. We offered short holiday breaks on our barges for young adults with multiple support needs including wheelchair users. 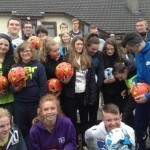 Just as important as the experience the young people had during their days away was the respite to the parents/carers. We provided weekly groups and facilitated friendships for 10 young people with additional support needs through their transition years (aged 14-19). The use of local community amenities has given the participants an opportunity to interact socially with others and build skills for independent living. Monthly support has been provided for carers, giving them respite and an opportunity to have a break from their caring responsibilities, participating in fun, sociable activities, within their own community. The Cafe Holiday Club provided a range of short break recreation activities in a fun, safe environment for disabled children/young people. At the same time provided short breaks from a caring role, enabling care providers to engage in activities of choice with confidence that their child/young person is in a positive, safe and fun environment.